The New South Wales government has agreed to the Morrison Government’s schools funding deal, avoiding a potentially “catastrophic” clash with the Commonwealth and the Church in the lead-up to a state election. Source: Sydney Morning Herald. 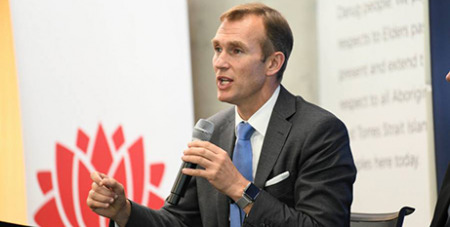 After almost two months of negotiations, NSW Education Minister Rob Stokes failed to convince the federal government to give NSW state schools more money to match the Commonwealth’s recent billion-dollar funding boost to private schools. So the state government will use $712 million from its own budget to ensure equity across the sectors. In September, the federal government set up a $1.2 billion "choice and affordability" fund for non-government schools, prompting Mr Stokes to say he would not sign any agreement that favoured one sector over another. Federal Education Minister Dan Tehan threatened to withhold federal private school funding from any state that failed to sign the deal by early December. Catholic schools in NSW wrote to Coalition MPs saying this would be a “catastrophic outcome”. The letter raised concerns that the Church would use its considerable lobbying power to turn funding for its schools into an election issue. Former education minister Adrian Piccoli said the NSW government had done the right thing by finding money for public schools from its own pocket.